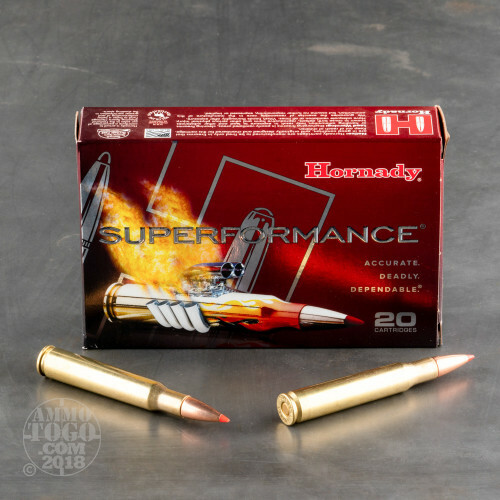 This Hornady Superformance .30-06 Springfield ammunition is engineered to increase your rifle’s performance by up to 200 feet per second. 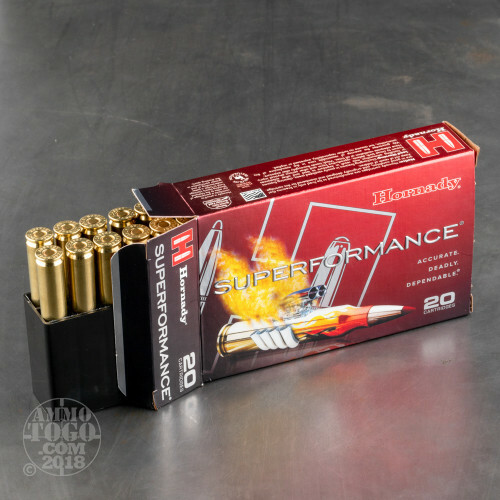 Leaving the muzzle at a velocity of 2820 feet per second with 3178 foot pounds of game-dropping energy, Superformance extends your effective range without adding extra chamber pressure, recoil, or barrel fouling. Loaded with 180 grain Hornady Super Shock Tip (SST) bullets, these loads provide higher ballistic coefficients than conventional hunting ammo due to the pointed polymer tip. Producing flatter in-flight trajectories, the red tip also works to initiate reliable, controlled expansion on target impact. 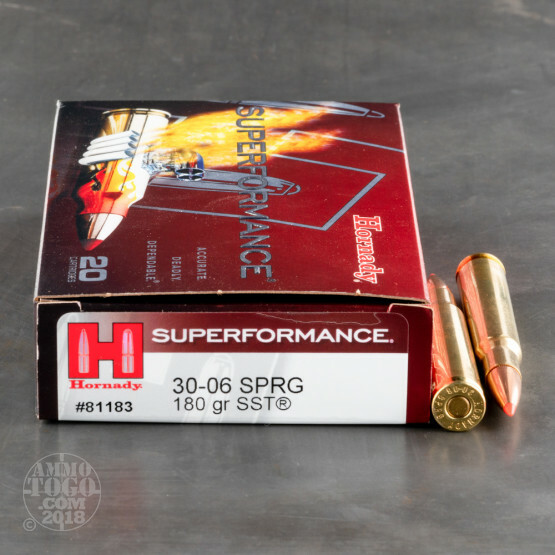 These cutting-edge projectiles also feature Hornady's patented InterLock ring system. This unique system keeps bullet core and jacket solidly locked during expansion. The result is superb weight retention and hard-hitting energy transfer. 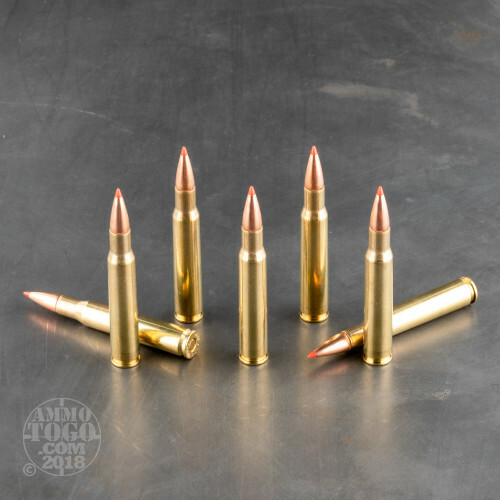 This new production ammunition is 100 percent non-corrosive, boxer primed, and features high-quality reloadable brass cases. Engineered specifically for North American whitetails, these loads also perform well on larger game like elk and black bear. This ammo comes packed in 20-round boxes.